During Mr. Lincoln’s campaign for Congress in 1846, Franklin T. King said that he and Thomas Alsop “were appointed a committee by a meeting of the ‘Free Soil’ and anti-slavery people held in Springfield to wait on Mr. Lincoln & get his views on the subject of Slavery. We called on him and were so well pleased with what he said on the subject that we advised that our anti-slavery friends throughout the district should cast their vote for Mr. Lincoln: which was genirally [sic] done.”2 But slavery was generally not an issue in Mr. Lincoln’s first and only congressional campaign. It was only with advent of the Mexican-American War and questions about the status of slavery in new territories and states, that slavery emerged as an important national issue. I was glad to hear you say that you intend to attempt to bring about, at the next election in Putnam, a union of the whigs proper, and such of the liberty men, as are whigs in principle on all questions ave only that of slavery. So far as I can perceive, by such union, neither party need yield any thing, on the point in difference between them. 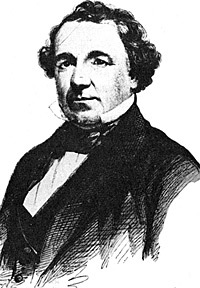 If the whig abolitionists of New York had voted with us last fall, Mr. Clay would now be president, whig principles in the ascendent, and Texas not annexed; whereas by the division, all that either had at stake in the contest, was lost. And, indeed, it was extremely probably, beforehand, that such would be the result. As I always understood, the Liberty-men deprecated the annexation of Texas extremely; and this being so, why they should refuse to so cast their votes as to prevent it, even to me, seemed wonderful. What was their process of reasoning, I can only judge from what a single one of them told me. It was this: “We are not to do evil that good may come.” This general, proposition is doubtless correct; but did it apply? If by your votes you could have prevented the extention, &c. of slavery, would it not have been good and not evil so to have used your votes, even though it involved the casting of them for a slaveholder? By the fruit the tree it is to be known. An evil tree can not bring forth good fruit. 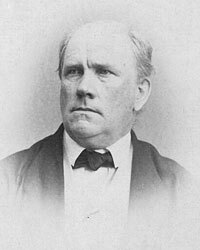 If the fruit of electing Mr. Clay would have been to prevent the extension of slavery, could the act of electing have been evil? But I will not argue farther. I perhaps ought to say that individually I never was much interested in the Texas question. I never could see much good to come of annexation; inasmuch, as they were already a free republican people on our model; on the other hand, I never could very clearly see how the annexation would augment the evil of slavery. It always seemed to me that slaves would be taken there in about equal numbers, with or without annexation. And if more were taken because of annexation, still there would be just so many the fewer left, where they were taken from. It is possibly true, to some extent, that with annexation, some slaves may be sent to Texas and continued in slavery, that otherwise might have been liberated. To whatever extent this may be true, I think annexation an evil. I hold it to be a paramount duty of us in the free states, due to the Union of the states, and perhaps to liberty itself (paradox though it may seem) to let the slavery of the other states alone; while, on the other hand, I hold it to be equally clear, that we should never knowingly lend ourselves directly or indirectly, to prevent that slavery from dying a natural death – to find new places for it to live in, when it can no longer exist in the old. Of course I am not now considering what would be our duty, in cases of insurrection among the slaves. 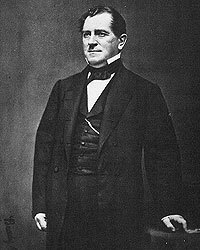 Mr. Lincoln appealed to his colleague [John Wentworth] to withdraw his motion, to enable him to read a proposition which he intended to submit, if the vote should be reconsidered. Mr. Wentworth again withdrew his motion for that purpose. 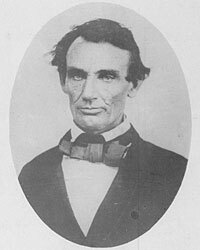 Mr. Lincoln said, that by the courtesy of his colleague, he would say, that if the vote on the resolution was reconsidered, he should make an effort to introduce an amendment, which he should now read. Section 1. Be it enacted by the Senate and House of Representatives of the United States of America, in Congress assembled: That no person not now within the District of Columbia, nor now owned by any person or persons now resident within it, nor hereafter born within it, shall ever be held in slavery within said District. Section 2. That no person now within the District, or now owned by any person, or persons now resident within the same, or hereafter born within it, shall ever be held in slavery without the limits of said District: Provided that officers of the government of the United States, being citizens of the slaveholding states, coming into said District on public business, and remaining only so long as may be reasonably necessary for that object, may be attended into, and out of, said District, and while there, by the necessary servants of themselves and their families, without their right to hold such servants in service, being thereby impaired. Section 3. That all children born of slave mothers within the District on, or after the first day of January in the year of our Lord one thousand, eight hundred and fifty shall be free; but shall be reasonably supported and educated, by the respective owners of their mothers or by their heirs or representatives, and shall owe reasonable service, as apprentices, to such owners, heirs and representatives until they respectively arrive at the age of _ ___ years when they shall be entirely free; and the municipal authorities of Washington and Georgetown, within their respective jurisdictional limits, are hereby empowered and required to make all suitable and necessary. Provisions for enforcing obedience to this section, on the part of both masters and apprentices. Section 4. That all persons now within said District lawfully held as slaves, or now owned by any person or persons now resident within said District, shall remain such, at the will of their respective owners, their heirs and legal representatives: Provided that any such owner, or his legal representative, may at any time receive from the treasury of the United States the full value of his or her slave, of the class in this section mentioned, upon which such slave shall be forthwith and forever free; and provided further that the President, Secretary of State, the Secretary of the Treasury shall be a board for determining the value of such slaves as their owners may desire to emancipate under this section; and whose duty it shall be to hold a session for the purpose, on the first Monday of each calendar month; to receive all applications; and, on satisfactory evidence in each case, that the person presented for valuation, is a slave, and of the class in this section mentioned, and is owned by the applicant, shall value such slave at his or her full cash value, and give to the applicant an order on the treasury for the amount; and also to such slave a certificate of freedom. Section 5. That the municipal authorities of Washington and Georgetown within their respective jurisdictional limits, are hereby empowered and required to provide active and efficient means to arrest, and deliver up to their owners, all fugitive slaves escaping into said District. Section 6. That the election officers within said District of Columbia, are hereby empowered and required to open polls at all the usual places of holding elections, on the first Monday of April next, and receive the vote of every free white male citizen above the age of twentyone years, having resided within said District for the period of one year or more next preceding the time of such voting, for, or against this act,; to proceed, in take said votes, in all respects not herein specified, as at elections under the municipal laws; and, with as little delay as possible, to transmit correct statements of the votes so cast to the President of the United States. And it shall be the duty of the President to canvass said votes immediately, and if a majority of them be found to be for this act, to forthwith issue his proclamation giving notice of the fact, and this act shall only be in full force and effect on, and after the day of such proclamation. Section 7. That involuntary servitude for the punishment of crime, whereof the party shall have been duly convicted shall not in no wise be prohibited by this Act. Sec. 8. That for all the purposes of this act, the jurisdictional limits of Washington are extended to all parts of the District of Columbia not now included within the present limits of Georgetown. Findley wrote: “Shortly thereafter the conference of southern Senators and representatives, led by Senator John C. Calhoun and inspired in part by the consideration of the Gott resolution, issued the ‘Address of Southern Delegates in Congress, to their Constituents.’ In reality Calhoun’s personal declaration took note, ominously, of bills presented in Congress, including the Gott resolution and others such as that of ‘a Member from Illinois. '”43 Lincoln’s resolution had the effect of helping to mobilize the South to counter such anti-slavery proposals in Congress. Blaine Brooks Gernon, Lincoln in the Political Circus, p. 100. Douglas L. Wilson and Rodney O. Davis, editor, Herndon’s Informants: Letters, Interviews and Statements about Abraham Lincoln, p. 700 (Letter from Franklin T. King to William H. Herndon, September 12, 1890). Albert J. Beveridge, Abraham Lincoln, 1809-1858, Volume II, p. 31. Ida M. Tarbell, The Life of Abraham Lincoln, Volume I, p. 222-223. Josiah G. Holland, Holland’s Life of Abraham Lincoln, p. 120. Paul Findley, A. Lincoln, The Crucible of Congress: The Years Which Forged His Greatness, p. 130. Paul Findley, A. Lincoln, The Crucible of Congress: The Years Which Forged His Greatness, p. 124. Roy P. Basler, editor, The Collected Works of Abraham Lincoln, Volume II, p. 247-283 (Speech a t Peoria, Illinois, October 16, 1854). John T. Morse, Jr., Abraham Lincoln, Volume I, p. 79. Paul Findley, A. Lincoln, The Crucible of Congress: The Years Which Forged His Greatness, p. 128. Roy P. Basler, editor, The Collected Works of Abraham Lincoln, Volume I, p. 347-349 (Letter to Williamson Durley, October 3, 1845). Paul Findley, A. Lincoln, The Crucible of Congress: The Years Which Forged His Greatness, p. 141. John G. Nicolay and John Hay, Abraham Lincoln: A History, Volume I, p. 285. Paul Findley, A. Lincoln, The Crucible of Congress: The Years Which Forged His Greatness, p. 128-130. William and Bruce Catton, Two Roads to Sumter, p. 60. Olivier Frayssé, Lincoln Land, and Labor: 1809-60, p. 121. Don C. Seitz, Horace: Greeley: Founder of the New York Tribune, p. 220. Olivier Frayssé, Lincoln Land, and Labor: 1809-60, p. 124. Gabor S. Boritt, editor, The Historian’s Lincoln: Pseudohistory, Psychohistory, and History, p. 232. Paul Findley, A. Lincoln, The Crucible of Congress: The Years Which Forged His Greatness, p. 137. Olivier Frayssé, Lincoln Land, and Labor: 1809-60, p. 125. Paul Findley, A. Lincoln, The Crucible of Congress: The Years Which Forged His Greatness, p. 138. John T. Morse, Jr., Abraham Lincoln, p. 79-80. Herbert Mitgang, The Fiery Trial: A Life of Abraham Lincoln, p. 116-117. Herbert Mitgang, The Fiery Trial: A Life of Abraham Lincoln, p. 115. Isaac N. Arnold, Abraham Lincoln, p. 80. Herbert Mitgang, The Fiery Trial: A Life of Abraham Lincoln, p. 117. Roy P. Basler, editor, The Collected Works of Abraham Lincoln, Volume II, p. 20-22 (Remarks and Resolution Introduced in Untied States House of Representatives Concerning Abolition of Slavery in the District of Columbia, January 10, 1849). Josiah G. Holland, Holland’s Life of Abraham Lincoln, p. 122. Paul Findley, A. Lincoln, The Crucible of Congress: The Years Which Forged His Greatness, p. 139. John G. Nicolay and John Hay, Abraham Lincoln: A History, p. 287-288. Don E. and Virginia E. Fehrenbacher, editor, Recollected Words of Abraham Lincoln, p. 269. James Brewer Stewart, Joshua R. Giddings and the Tactics of Radical Politics, p. 170. James G. Randall, Lincoln the President: Springfield to Gettysburg, Volume I, p. 17. Olivier Frayssé, Lincoln Land, and Labor: 1809-60, p. 122. Paul Findley, A. Lincoln, The Crucible of Congress: The Years Which Forged His Greatness, p. 143.